Indian Trail Animal Hospital provides many different kinds of veterinary services. 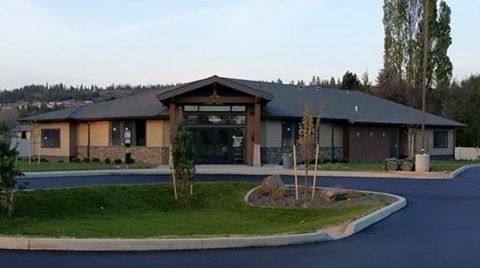 From the standard check up to animal dentistry, oncology, radiology, blood work and much more and now it's all being done from the pet clinic's new home, not far away from their original location in Northwest Spokane's Indian Trail neighborhood. Indian Trail Animal Hospital is now located in a stand alone building at 5150 W. Barnes Rd, which is now open for business. The clinic employ's about dozen people and has 5600 square feet of space. The new clinic building offers six exam rooms, new surgery suites and separate dog and cat waiting areas. The new building is a huge change for the clinic, who moved from 9027 N. Indian Trail Rd. The new space is actually owned by the business and is more then triple the size of their former space. With only a few more days till Hoopfest kicks off on the streets of Downtown Spokane, we are finally learning more about an exciting side event coming to the tournment this year. That side events is that ESPN's Sportscenter program will be at Hoopfest! Hoopfest, which is the World's largest 3 on 3 Basketball tournament, bringing in millions to the local economy and keeping many Downtown businesses hopping, apparently caught the eye of the national cable sports networks producers recently. ESPN crews will be all around Downtown Spokane during all of Hoopfest 2015, filming for various reasons. Sportscenter will broadcast from a site nearby the corner of W. Spokane Falls Blvd. and N. Stevens St. . Currently they plan to be live for their 10AM EST show, which would air at 7AM here in the Pacific Time Zone. This will be just one of many special events within the main Spokane Hoopfest event this year. An event called Spokane Fan Fest will take place nearby the Convention Center and a craft beer festival called Hopfest is also planned, taking place in Riverfront Park. Those looking for office space in North Spokane will soon have a new place to look. This, as construction is coming alone nicely on a new office complex on N. Nevada. The office complex, which is named the North Nevada Professional Building is now up with interior work ongoing at 9911 N. Nevada. This is right next door to the Northside Chuck E. Cheese restaurant. The North Nevada Professional Building is being constructed and leased out by Silvey Construction. We reached out to Silvey Construction for information leasing and how many offices will be included but have yet to receive a response to that inquiry . However, should we learn more I will update this post. But, from other sources we do know the new office building will feature 38,600 square feet of space on two floors and in the basement. One tenant, Engen & Hahn Dental has already leased space in the new building and will move there upon completion from 6817 N. Cedar. Silvey is also in various phases of construction at a few other Inland Northwest sites right now. 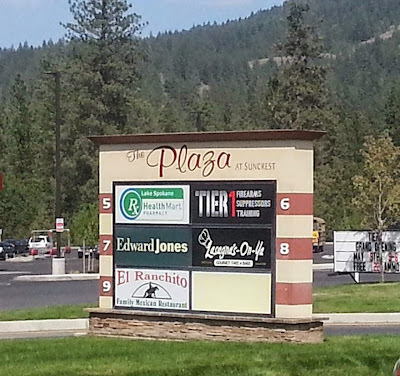 They are building a new strip mall on N. Pines ( more on this search 1212 N. Pines on this site ) and have planned new office building in Post Falls next to STCU. Silvey, also just completed an overhaul on the from Discovery School into the new " Sherman Medical Building " nearby Sacred Heart Hospital and Downtown Spokane. It's been confirmed, Liberty Lake's large Meadowwood Technology Campus is scheduled to undergo another major expansion. This will be the second project there in the last couple of years, after Safeco Insurance / Liberty Mutual leased an entire new building called Meadowwood Three. The Insurance company is the only tenant in that new building and also maintains a large office presence in the original complex building north of Meadowwood Three. I inquired with Greenstone Homes, the owner of the land and Meadowwood, and they did confirm that an expansion of the office complex is underway there. Other then the confirmation though, we can't get much information just yet as they also told me the site is still under a confidentiality agreement. Based on my own personal speculation this could be the permanent home for the Comcast call center which I had heard may be looking to locate in Liberty Lake. Comcast will open in the next couple of months in the 2800 block of N. Sullivan Rd. in leased space until a permanent site is ready, likely next year. The Comcast call center will be for customer service and will employ 675. Pinot's Palette, which is locally called Pinot's Palette - Spokane SoDo is actually just one franchised location in a growing chain of art studios. The Spokane location opened in February of 2014 at 32 W. 2nd ( former Spokane Public Market building ) . But now, almost a year and half after opening in Spokane, Pinot's Palette has announced their plans for a new second location. This time in Coeur d' Alene, Midtown Coeur d' Alene to be precise. The new Coeur d' Alene Pinot's Palette will be located in about 1,365 square feet at 728 N. 4th St, a former photography studio next to Kelly's Irish Pub and across from Capone's Pub & Grill. The new studio will be much like the Spokane location, where anyone can be an artist. Paintings are taught from professional artist who teach in a step by step, easy to understand manner. 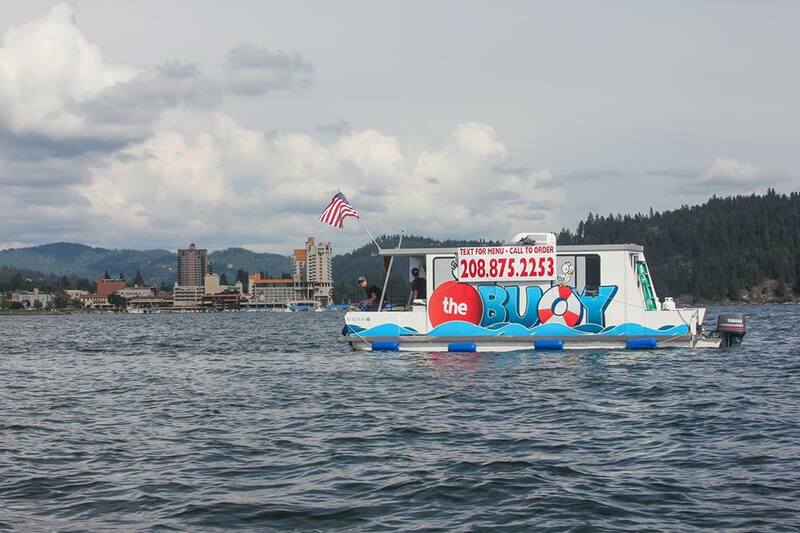 The Coeur d' Alene location will open in late Summer / early fall. 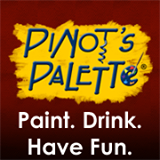 And, while the painting classes are great on their own, Pinot's Palette also has a fully stocked bar of wine and beer. Many locally produced wines and beers are also featured at Pinot's Palette. With an exterior resembling an automotive repair shop, a garage themed restaurant only makes cense for the building at 6325 N. Wall St. in North Spokane. And, that's exactly what this space will soon be. The building, as you may recall, was last home to another restaurant called Stop n Go Drive In who went out of business last year after at one time also operating a location in Spokane Valley. Opening " sometime in July " will be Lost Boys Garage Bar & Grill . Lost Boys Garage will be mostly geared as a whiskey bar but will serve other drink menu items including 12 different beers on tap at any one time. Lost Boys Garage is also planned to be much more then a bar with Chef Will Webster working with the restaurant owners to create a " wonderfully creative menu " .We're told that menu will include flat top steaks and gourmet grilled cheese sandwiches . They are hiring for open positions, however we don't have the details about how many new jobs Lost Boys will create just yet. 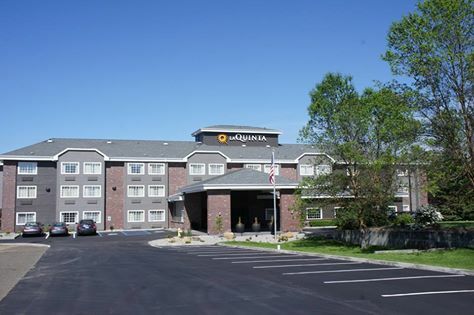 Now open in what was once a Ramada Inn in North Spokane is the newest location of the La Quinta Inn chain. This marks the growing chains third location in the Inland Northwest and it's not the only recent change locally for the chain of low to mid price " limited service" hotels. 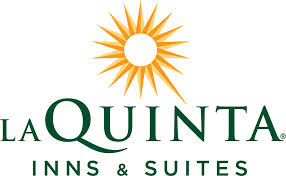 In Coeur d' Alene La Quinta Inns also recently took over the former Ameritel Inn near the US 95 / I-90 Jct. and let go it's smaller hotel on Appleway just east of US 95 to the Quality Inn brand. 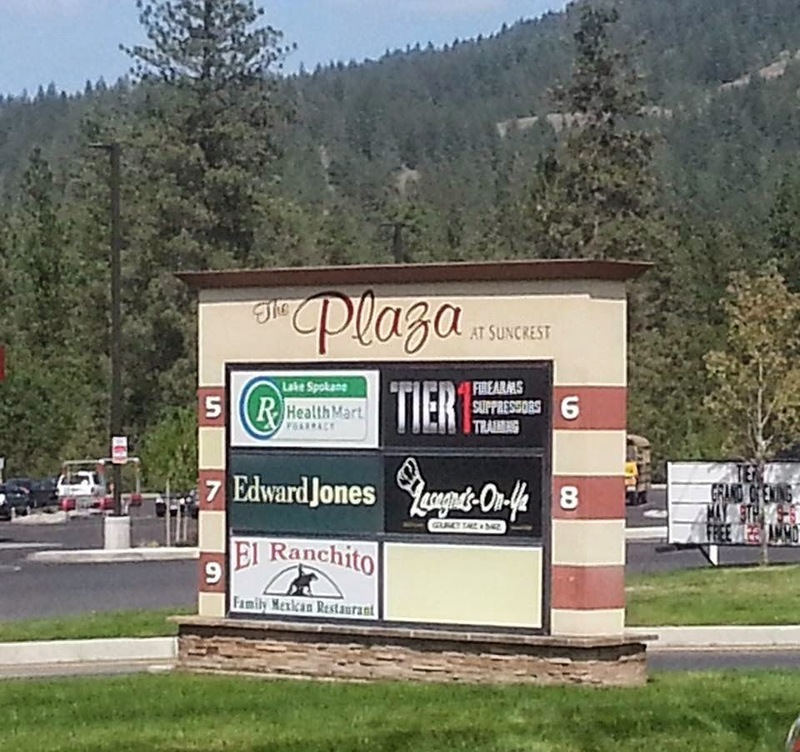 But this is the first new development for La Quinta in Spokane proper. This new North Spokane La Quinta Inn may be in an already built building, but it's still very new, since the whole property was actually closed down for a time to allow a full remodel. . The hotel, which is actually called La Quinta Inn Spokane-North is located near the Northpointe Shopping Center at 9601 N. Newport Hwy. Breakfast provided in a appealing new " breakfast area"
And, a small on site market called " Bright Side Market ", which is a concept still relatively new to La Quinta Inn hotel chain. Coeur d' Alene - 333 W. Ironwood Dr.
Once one of Spokane's favorite coffee shops, operating two locations and separate clothing store ( Wearable Assets ), Chairs , is apparently no more. This after the unexpected news this week that Chairs Public House, nearby Gonzaga at 1305 N. Hamilton is now closed down for good. Chairs last day of operation was June 9th, the business closed due to what they call " various business reasons " . All employees of Chairs we're laid off although the business is working to help find their staff positions at other establishments. Chairs Public House was, sort of a coffee shop during the day and bar at night, with full food menu. An idea that in theory makes cense for the neighborhood near a major university. Chairs had been in the former Bulldog Tavern , an iconic bar and restaurant that also went out of business a few years back. 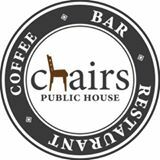 While the news of Chairs Public House closing is not positive, it's important to note that the area around Chairs ( Logan Neighborhood / Hamilton St. corridor ) is not without similar establishments. In fact, we recently learned the Garland Avenue Drinkery is moving to this very area soon, in the former Pizza Oven location at 829 E. Boone. 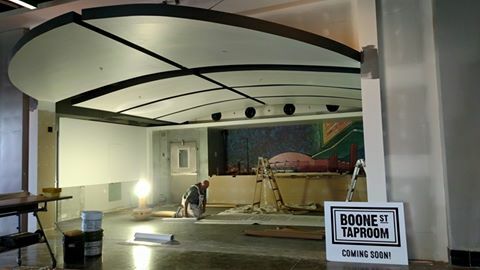 And, many more including a new version of the Bulldog Tavern that's set to open, this time actually on campus at Gonzaga. In the heart of Spokane Valley, at the corner of Argonne & Montgomery ( near Trent ) the Argonne Village shopping center is been a landmark for businesses and restaurants for sometime. The center is home to big anchors like Yoke's Fresh Market and Dollar Tree all the way down to small local businesses like Ambrosia Bistro & Wine Bar. And now Argonne Village is planning an expansion called " The Annex " which will be a new smaller scale shopping center on vacant land along Montgomery. The new Argonne Village Annex will be on the southeast corner of the center's property nearby the fitness center building ( building will be at 9511 E. Montgomery ). There is no word on when the new shopping center construction might begin or when stores there might open. But leasing is now underway, leasing work is being administered by Spokane based Kiemle & Hagood Company. The building will be about 9,000 square feet and offer up space for up to seven different stores and restaurants. No tenants have been announced yet but we will keep and eye out for any new business announcements here. Here is a look what the new Argonne Village Annex is purposed to look like once complete. Although some small aspects may change depending what future tenants request. A large new distribution center, with attached retail store will be coming to Post Falls in coming months. Perhaps, alleviating some of the negative side affects of the upcoming closure of that city's Kimball Office manufacturing plant. The new center is being proposed by Transamerican Auto Parts , a Compton,CA. 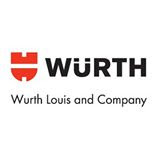 based company who also operates the company and retail store chain 4 Wheel Parts. Transamerican will lease 85,000 square feet of space in the industrial complex now known as the " Jacklin site" . This is the former plant and HQ of Jacklin Seed at 5300 W. Riversbend by I-90 and near State Line. Transamerican Auto Parts will use 75,000 square feet of the new location for a distribution center to fill both customer orders and orders to some of it's 69 retail stores. The other 10,000 square feet will be used for one of those retail stores. With a 4 Wheel Parts store also opening around the same time as the distribution center. The distribution center is currently scheduled to open in August and the retail store to open in September. The new Post Falls site will create as many as 50 new jobs. The company also offers a mail order catalog, e commerce web site and has a wide range of auto parts for trucks and Jeeps. 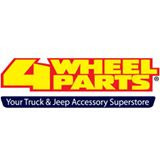 4 Wheel Parts already operates 3 retail stores in the Northwest, although this will be the first location in the Inland Northwest. And, the first distribution center here. Earlier in a posting about new businesses coming to Riverstone, I made mention of Anthony's , a Western Washington based seafood restaurant chain that is planning a location there. At the time, I had no details so I took and educated guess this new location would be part of the Anthony's Beach Café, a more casual restaurant concept. But, now the details on this new restaurant are in, and in fact this will actually be part of the main Anthony's restaurants dinner house concept. While Anthony's has a few locations around the Northwest, most people here will be familiar with Anthony's from their long running Anthony's at Spokane Falls in Downtown Spokane. The chain also has a Anthony's Beach Café on S. Regal on the South Hill. The new Anthony's in Riverstone will be called Anthony's at Coeur d' Alene . It will be built on the Riverstone Pond directly across from The Village at Riverstone shopping area. Their address will be 1926 W. Riverstone Dr.
Construction on the new Anthony's at Coeur d' Alene will start around August of this year with and opening date around June 2016. The new restaurant will be a free standing building with 6,125 square feet with a 4,200 square foot partially covered patio. Seating will be available for up to 150 people.
" The inspiration for the design includes a subtle response to the site’s sawmill history with extensive use of exposed structural wood systems”. Interior design will be done by McVey Oakley Design with construction work done being done by contractor Yost, Mooney & Pugh . 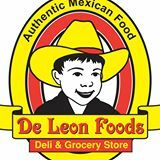 De Leon Foods, a popular Mexican grocery store and Mexican restaurant / deli from North Spokane is branching out once more with plans to open a second location. De Leon's has leased and now working on opening a location in Spokane Valley at 15530 E. Sprague Ave. The new Spokane Valley location will be in the Hancock Fabrics storefront nearby the high traffic corner of Sprague & Sullivan. This new location will also provide convenience to De Leon's shoppers coming from North Idaho in addition to the Valley. Hancock Fabrics relocated last year from this space to a space on E. Broadway last year. The new location will offer about 17,000 square feet of space and have much of the same things as the North Spokane location. The Northside location will also remain open for business at 102 E. Francis even after the one opens. 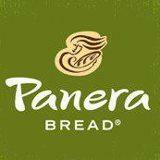 The new Valley location is expected to be opening around mid to late Summer although and exact date has yet to be set. The new De Leon's will create about 10-15 new jobs and will have positions opening up in all areas. This new location will feature a Mexican grocery store, Mexican bakery , Mexican restaurant and a tortilla manufacturer .
" big demand for our locally made tortillas, chips, salsas, tamales and our specialty grocery items"
As a part of the Albertson's / Safeway merger some of their stores are switching ownership to Western Washington based grocery store chain Haggen Northwest Fresh. Locally, the only store to undergo this transition is the Safeway in Liberty Lake at 1233 N. Liberty Lake Rd. . And, after some waiting for the merger to be approved , etc... that transition is now underway. But customers of the store won't need to fear as this transition will be quick. This will be the Haggen chain's only location in Spokane / Coeur d' Alene Metro. Also, of note is that another Safeway store at Argonne Rd. just south of I-90 in Spokane Valley is also now closed. That closure is not due to the merger, the company says it was simply underperforming. Rumor has it another business is already eyeing that building. Those wanting to know more about the Haggen Northwest Fresh grocery store chain and how then intend to be a partner in the community will want to check out their " Liberty Lake Community Partner Meeting " . This will be held Thursday June 11th from 5-6pm at Greenacres Middle School - Commons ( 17409 E. Sprague Ave , Spokane Valley ). This would also be a great time for local growers and food manufacturers to show off their products to the Haggen management. The former Evergreen Pet at 14319 E. Sprague Ave was sold to a dentist who is now starting an extensive remodel of the building. Once complete the new building will be a clinic with the Apple Valley Dental & Braces chain. This will be the second location for the small chain in the Spokane area. Apple Valley also has a clinic at 2929 N. Market St. and this will be the chain's sixth location, all of which are in Washington State. The details of the new tower have yet to be seen by public eyes, but it is now confirmed that the Coeur d' Alene Resort does have a second tower in the development phase. The Coeur d' Alene Resort, which is owned and operated, by The Hagadone Corporation revealed it's plans by asking for public street to be vacated in Downtown Coeur d' Alene to make way for the new tower. Because we haven't seen Hagadone's plans yet we don't know what all would be in the new tower. But, we can only assume it would be primarily used for hotel rooms, the upper floors at least. The Hagadone Corporation is asking to vacate a short portion of Front St in-between current Resort building and the Resort Plaza Shops shopping mall, which is also owned by Hagadone. A small portion of the current roadway would stay for access by the Centennial Trail and emergency vehicles. Keep watching this site for more, the exact details of the project will likely be released in the near future. Spokane Valley based Silvey Construction and it's development division continue to invest in the Inland Northwest. Currently the company , which operates from 10221 E. Montgomery Suite A in the Valley has two major new commercial development projects underway. One such project is in Spokane Valley and will provide new retail and / or restaurant options to the area around Pines Rd. That's because Silvey is currently doing an full remodel of the former bingo hall building at 1212 N. Pines and turning it into a new small shopping center. Construction at the site is extensive as seen above with the building basically gutted to start over. 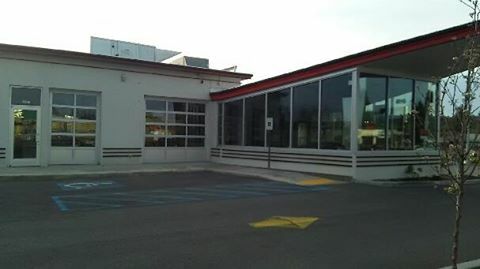 The front parking lot has been removed as has a small espresso drive through which once stood in the front of the building. We will continue to keep an eye on this project for any new tenant news coming in the near future. The other project Silvey Construction is working on currently in the local area is a new large office building on N. Nevada. We may have news on that project also soon. Community Frameworks is an origination that has already invested millions in Spokane to build new housing options for the local lower income population. They provide both apartments and a home ownership program, both here in Spokane and over in Bremerton,WA. . In Spokane, Community Frameworks operates four apartment complexes. This includes Pioneer Park Place which itself is relatively new after the group remodeled a long vacant former nursing home on the Lower South Hill. Today, that complex is already operating on a wait list, showing that the need really is there in Spokane. That's possibly the cause behind why Community Frameworks already has another new large apartment complex already in the development phase. What's different about this new project is it will actually replace a much smaller building that currently houses Community Framework's own Spokane offices. The project is called West 315 and is called that because it will be built at 315 W. Mission, about a mile north of Downtown Spokane. Financing of the project appears to be close to falling into place now and if everything continues to run smoothly actual construction at West 315 should start sometime this Summer. West 315 will be primarily a residential development, although early predevelopment meeting records should some non profits using office space on the first floor. Although, there is no mention of this anymore it is assumed that at least Community Frameworks will call the building home as their current office is on the same site as this new structure. West 315 will feature 32 separate apartments with 1 management apartment also included. Some units will also be designated to help the homeless get housing. And, all units will be considered workforce housing. Construction will be done by Kop Construction , design work by ZBA Architecture and engineering work by Gokey Engineering. This is the third major low income / homeless apartment complex announcement this year for Spokane. Over east of Downtown Spokane on E. Second Catholic Charities and Volunteers of America are also planning new apartment buildings, those however are actually larger then West 315. Drive In Theater coming soon to Hayden? Sorry,but probably not. On my way home from work last week I noticed these signs on Prairie Ave in-between Huetter Rd. and Meyer Rd just outside of Hayden. Turns out I wasn't the only one as a few people asked me about this planned drive in theater that is apparently " coming soon " . The owner of the property , Corky & Ginny Hughest , put up these signs as a " joke " to "make people smile ". The Hughest's as it turns out don't even have the proper building permits for a drive in theater. Causing quite a stir with the Kootenai County Planning Department. They do plan to build on the land soon, as they already have an active building permit for the site for something a little less cool... mini storage units. The signs that advertise the drive in theater have been removed, after actually only being up for a couple of days. White posts for a new sign are now there instead, likely for the mini storage whenever they start construction on that project. Lalo's Pizza & Calzone has been a locally owned and operated pizza business on Spokane's South Hill for a while. But not long ago Lalo's came under new ownership by local business people James & Pam Wedemeyer and now the South Hill location has a partnership with neighboring bar , Press , to have Lalo's menu delivered fresh to customers at the Press Bar. Lalo's and Press are both located in the 900 block of S. Grand Ave with Lalo's being at 909 S. Grand Ave. But, this is all small news compared to Lalo's Pizza & Calzone's new plan to open a second location. This will be the first attempt to expand the business to other parts of the region. The new location is currently planned to open for business sometime in July, with some hiring going on now. The original location on S. Grand will also continue to be open even after the new opening. While Lalo's Pizza & Calzone is an excellent restaurant it's just where the new location will be that's probably the main talking point behind this business news item. The new Lalo's Pizza will be in Spokane Valley at 11027 E. Sprague. For those unfamiliar with this part of the Valley, this is the landmark orange & red train next to the Iron Horse Bar right on Sprague. The train is a retired full train with engine and few cars that has sat on a small lot for a good many years. While it was originally, and for a long time, a dentist's office it has been used for the last few months as another small pizza place called Choo Choo Pizza which we can only assume is now out of business. 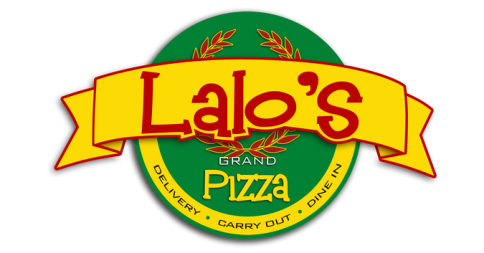 Lalo's Pizza & Calzone offers carry out, dine in and delivery of their menu, although there is a $20 minimum on delivery. They make several speciality pizza's including a dessert pizza and a breakfast pizza. Several other appetizers are available as are calzone's as implied by the business name. I love it when a real locally owned & operated business expands, and it's made even better in this case that the expansion is of a local restaurant with a unique business model. The business is Lasagna's On Ya and they are a take & bake lasagna business that been serving Spokane for a few years already. Lasagna's On Ya has been located in North Spokane at 521 E. Holland and, as of a couple of weeks ago is now also open in the small suburb of Suncrest. They also remain open on E. Holland. The new Suncrest Lasagna's On Ya is located in suite 8 of The Plaza at Suncrest, their address there is 5919 Hwy 291 #8 . Interestingly enough the new restaurant actually neighbors Tier 1, another new business, that partnered with the new Rosauer's supermarket is spelling a small boom commercially for the small town just northwest of Spokane. Lasagna's On Ya features a menu of several delicious lasagna's all available for take & bake. And because their a take & bake style restaurant they are also able to accept EBT. But, it's not just lasagna that is on the menu at Lasagna's On Ya, they also have salads, artisan breads and desserts like cheesecake and tiramisu. The business employ's 7 , and makes most everything in their lasagna's fresh by cooking their own meats, making their own sauces and even seasoning their own Italian sausage. The menu includes several different types of lasagna made in a selection of sizes. 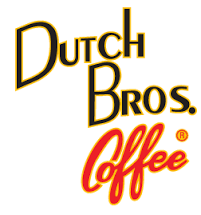 Dutch Bros. Coffee is opening in Spokane Valley, but where? Recently State Rep. Kevin Parker, local politician and owner of the Spokane area Dutch Bros. Coffee locations went on air with KZZU's Dave, Ken & Molly to promote / announce a new Dutch Bros. location. He did say the location would be in Spokane Valley, but said he won't announce where until June 5th. Near the corner of Sprague and Pines, possibly on the same property as the former Albertson's Grocery Store there. All Dutch Bros. are drive thorough and those familiar with this part of the Valley will make note of the large empty parking area / small vacant lot around the old Albertson's. While this new Dutch Bros. Coffee location is welcomed we can only hope this may be the key to filling that old abandoned Albertson's. It's looking pretty sad beat up with a sign still there advertising a health and wellness expo held there 3 years ago! When I contacted Natural Grocers corporates offices they said their management hadn't let them know of any plans for a new Natural Grocers store in Spokane. But since the Colorado based chain is already open for business in Coeur d' Alene and Trader Joe's is making in roads into the Spokane market it only makes cense that they would target Spokane for a new location. And, that looks like just the case with another pre-development application for Natural Grocers store. And, probably not by co-incidence this application is not far away from where Trader Joe's is working on their new North Spokane location ( that will be in Franklin Park Commons shopping center) . If it works out Natural Grocers will make their entry into the Spokane grocery market at 4511 N. Division. This is the same building as Office Depot and the Sports Outlet. The current store plan calls for the store to be in a new expansion to the building on the north side by the Chevron gas station. It will also likely include some new parking lot upgrades. 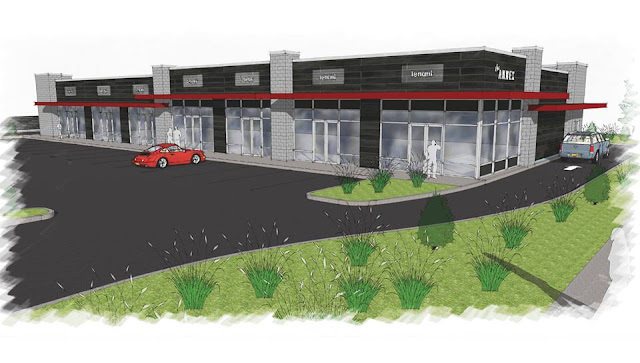 The plan calls for the store occupying 16,000 square feet of space and may or may not take some of the Office Depot space since that store also has a building permit in for a new floor plan and some other upgrades. This could be because of the new Natural Grocers.